We are thrilled to open submissions for the 2019 CLiFF. 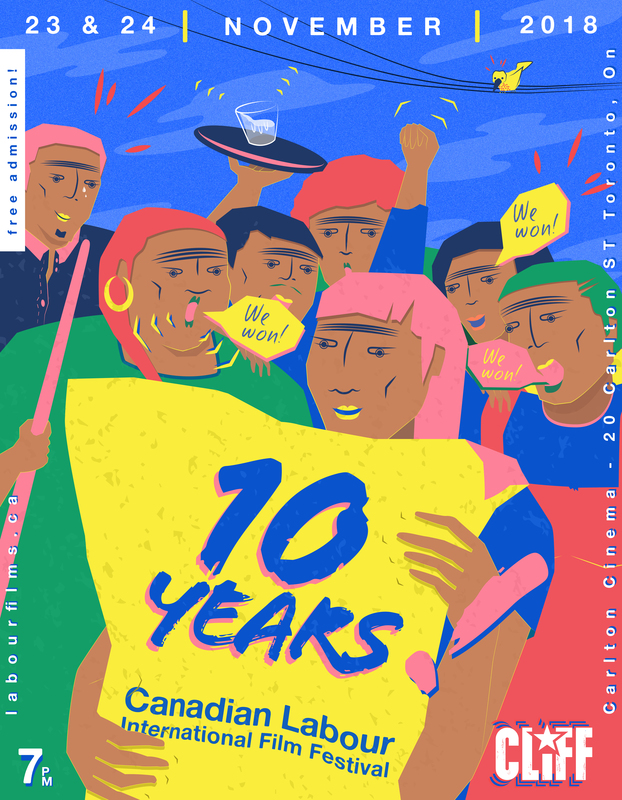 Join us in Toronto on November 10th, 2017 for the 9th annual Canadian Labour International Film Festival (CLIFF)! We have a fantastic line-up of labour themed films from all over the globe. This year will be a one-night only event so don’t miss out! Audience members will get a chance to vote on this year’s winner of Best Canadian film. 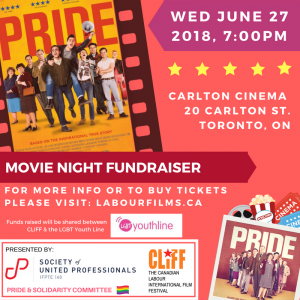 Films will be shown at the Carlton Cinema (20 Carlton Street, Toronto, steps from College Subway Station). 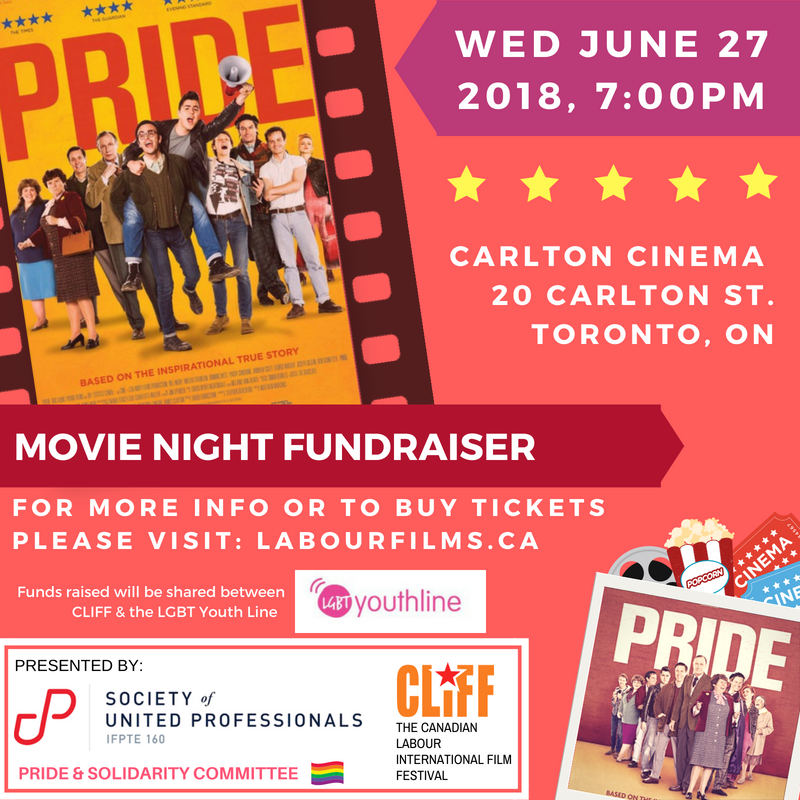 Doors open at 6:30pm and films screenings will start at 7:00pm. Admission is free, and free popcorn and drink vouchers for the first 20 attendees! Check out our FB event here.